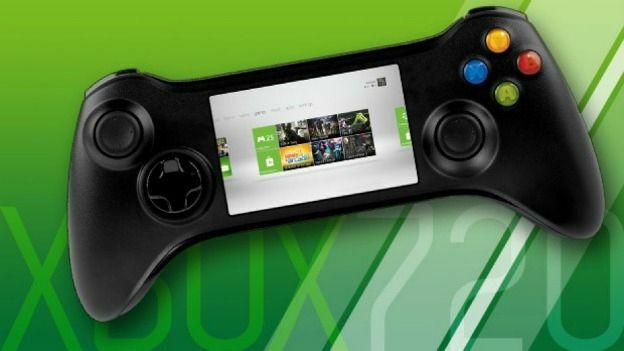 Ahead of a heavily rumoured E3 Xbox 720 release, new reports have suggested Microsoft's next-generation console will land with a touchscreen touting Wii U esque controller. The latest Xbox 720 rumour, which comes courtesy of a report on Xbox World Magazine, has offered a tantalising insight into the next-gen console with the touted display packing controller to offer improved input options for the "media hub" console. As well as outing the new controller for, the Xbox World report has climed the eagerly awaited Xbox 720 "will be a matt-black media hub with a mission to bring games to life in your living room with augmented reality, directional sound, and a four-player, finger-tracking Kinect." On the potential tablet styled controller, the report adds the input device will boast a "HD screen surrounded by the traditional 360 buttons and sticks. "That touchcreen will be second only to Kinect in how you operate your console. It could be a remote control when you're watching TV, a browser when you're on the internet, extra buttons and information when you're playing a game or a portable display when you want to take your game with you." Is the next big trend in the gaming world the introduction of tablet display touting controllers? Share your thoughts on the matter with us via the T3 Twitter and Facebook feeds.